Civil services aspirants across the country are eager to know the strategies and preparation methods of UPSC exam toppers. What if an all-India topper (AIR 1) of UPSC Civil Services Exam decides to share his approach and study materials to help others? That too with original transcripts! This rare benevolent act which can be a real confidence booster for all aspirants, particularly those from rural India who do not have access to expensive coaching/guidance, came from none other than Gaurav Agrawal, 2013 Rank 1. Graduation: Bachelor of Technology (Computer Science) degree from Indian Institute of Technology (IIT), Kanpur. Post Graduation: Post Graduate Diploma in Management from Indian Institute of Management (IIM) Lucknow. 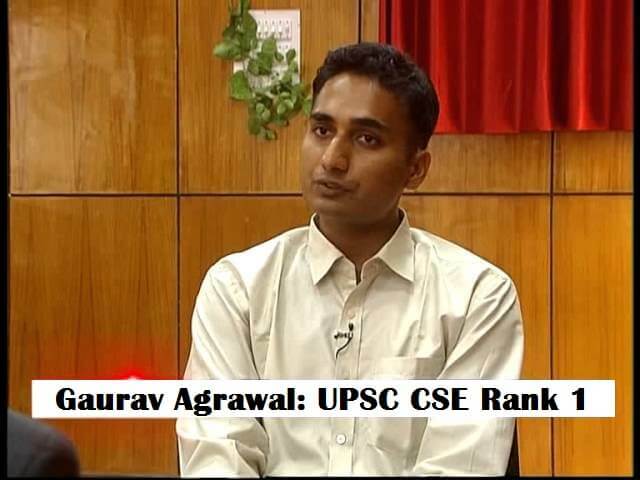 Attempts at UPSC Civil Services Exam: 2 [244th rank in the UPSC exams in 2012, currently under training at National Police Academy after he was selected for the IPS]. Overall interview was very cordial. Whatever be the marks, at least beizzati nahi hui 🙂. Me: It was a small movie we made based on then released Kaante. 🙂 We were a group of students studying in our college who get caught by the dean while cheating in an exam. The dean expels us. So we decide to take a revenge on the professors by looting the bank where they used to keep their savings. 🙂 We get caught doing that also and end up as sweeper, waiter etc. M2: u want to write a book… What kind of book? Me: 🙂 Sir, I presently write about things I see, my inferences and observations. So the book would be about that only.. what I see and learn in the field over next 10-15 years.. the problems I see and what policy measures we can adopt to solve them. Total Written: 769 / 1750. Interview (Dr. Kilemsungla board): 206 / 275.
what was your feeling at interview time? i am so inspired by you Mr gaurav so that i want to appear for IAS exam..
and so on and i will do hard work on it.thank you. Sir plz solve __+__+__=30 ? 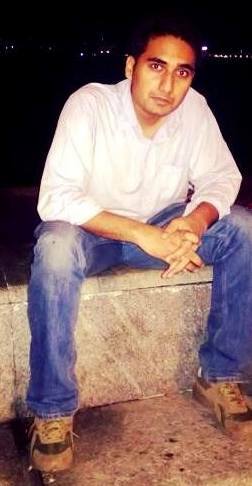 nic sir,you r so billiant. I don’t think this is the complete question. Are there any options for answers? Treating this problem not as a trick question and the shown part as the whole body and what is apparent as what it actually is.. It is virtually impossible to get the answer ’30’ by adding any three of the numbers given above. Simple, sum of three odd numbers can never be an even number. Sir can you please solve this. sum of three odds can never give you an even number. so getting 30 is not possible. though if you are allowed the liberty to carry addition separately in each bracket provided then we can change the entirety of the numbers in to something that might befit the equation; but then there are many possibilities..
and so many more.. In such case I’d say more details required..